Ships tomorrow if you order in the next 21 hours 14 minutes. When it comes to supplements, many times you have to accept the dosages given. For many people, this can be tough. However, Solaray makes getting just the right dosage a lot easier. Size 000 Empty Gelatin Capsules offer you the freedom to create your own gelcaps more suited to your desired potency. Solaray's Size 000 Empty Gelatin Capsules come in a package of 100, and offer you the convenience of filling them as you go, or filling them all at once--the choice is entirely yours. Support optimal health and get the dosages your body needs. 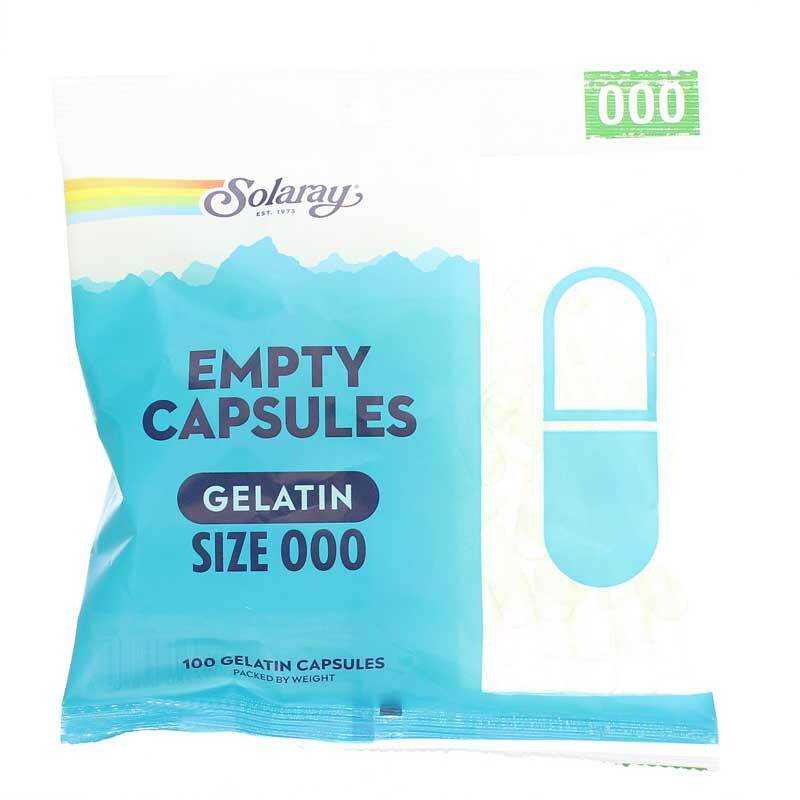 Order your package of Size 000 Empty Gelatin Capsules today, and see the difference they can make in your overall health and in your pocket. Order yours now! Received exactly what I needed in a timely manner and excellent price.